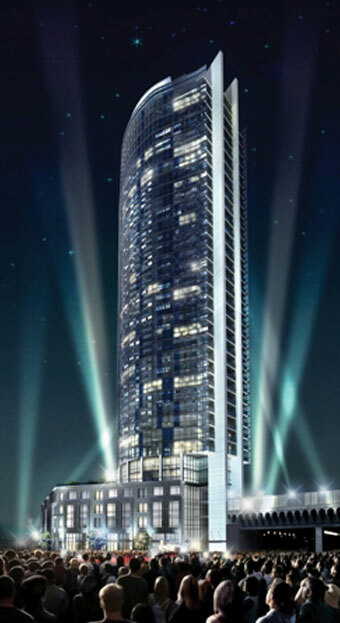 UPDATE for 8 The Esplanade – L Tower December 3, 2015. The temporary derrick (small crane unit) at the top of the L Tower will be removed starting after 7:00 am Thursday, December 3. 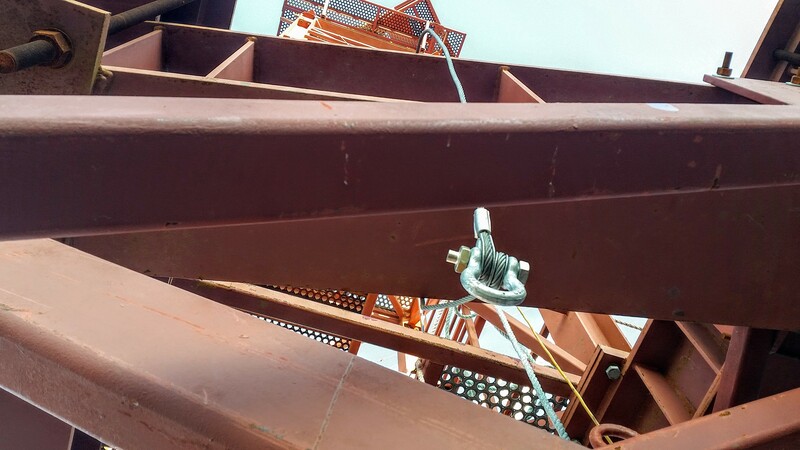 The derrick is not functional and needs to be removed. 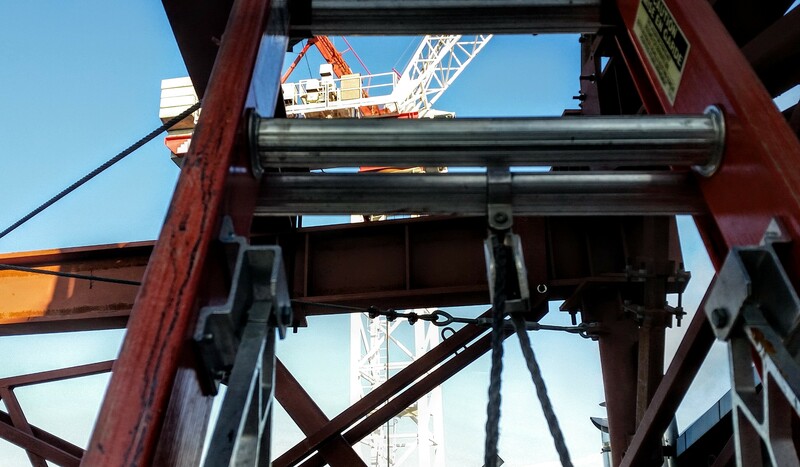 The large tower crane will be used to lower it in sections. As sections our lowered, sections of the north sidewalk between Scott Street and Yonge will be temporarily closed to ensure public safety; pedestrians may use the south side of The Esplanade. 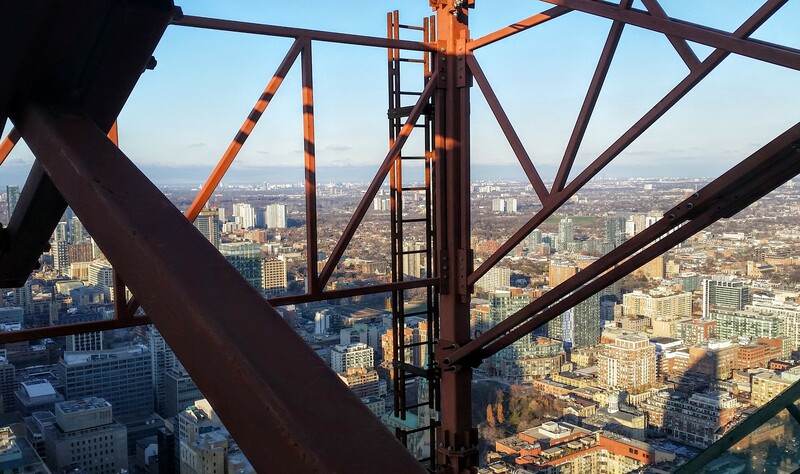 We will post updates the removal of the derrick and related work here at https://ltowerconstructioninfo.com/ as they become available. Crane, Derrick and Ladder. 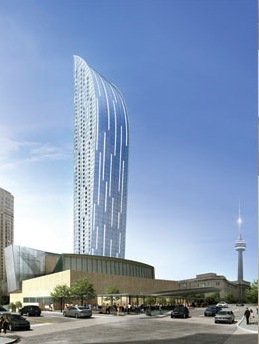 L Tower mechanical penthouse. 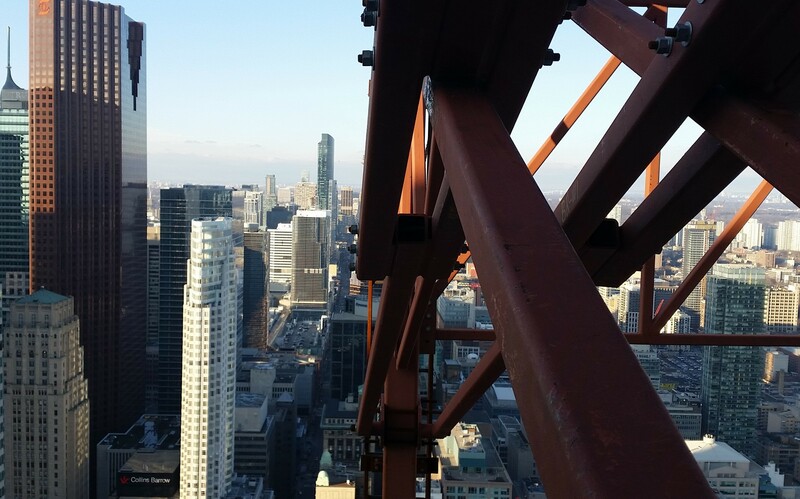 The top of the L Tower crane seen from the top of the mechanical penthouse. We get enquires from L Tower residents about the progress of internal work in the building. 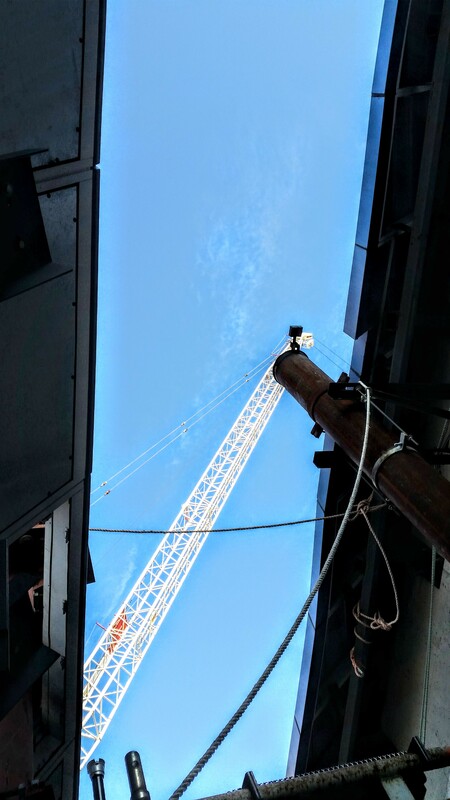 While we are happy to direct these enquiries to the appropriate people, please note that the purpose of this site is to provide construction information to external neighbourhood stakeholders, particularly in the immediate St. Lawrence Market neighbourhood.